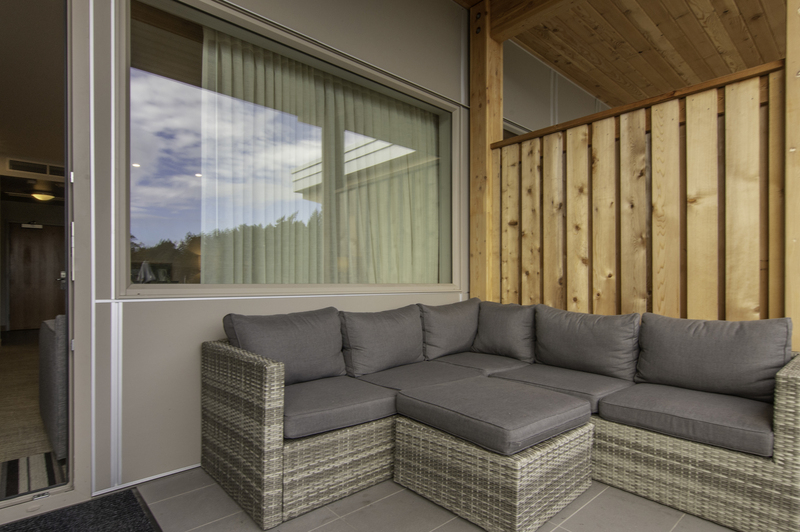 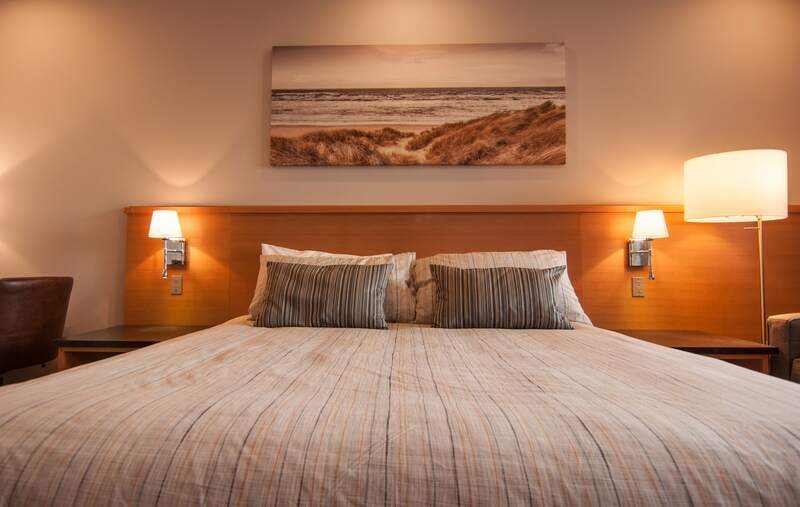 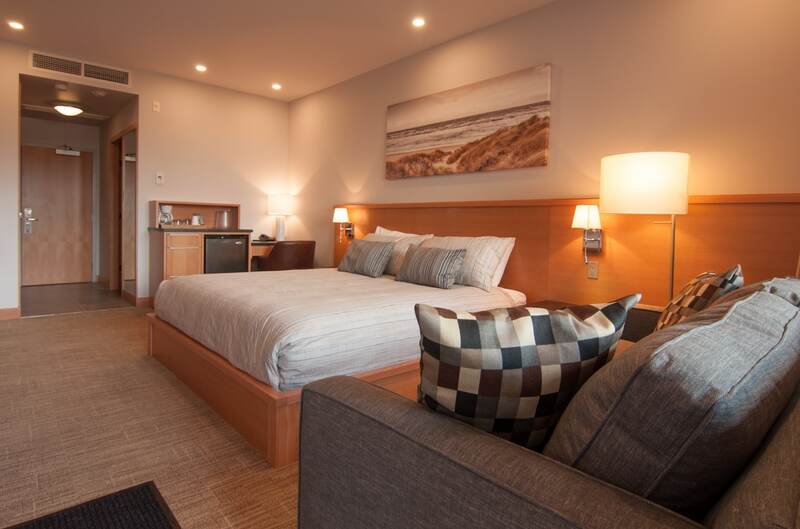 The Harbour House Hotel's signature guest rooms are our beautifully appointed Patio King. 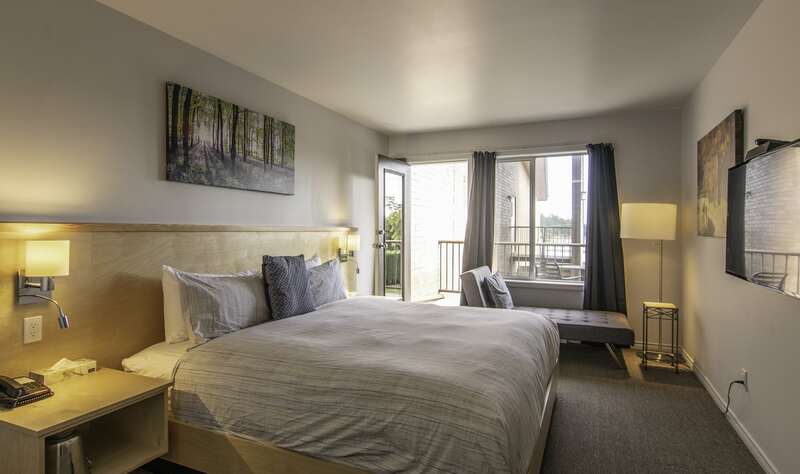 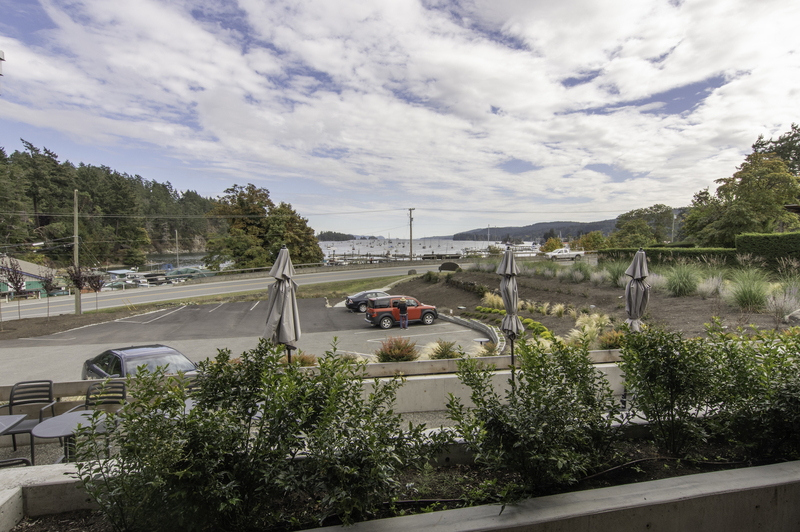 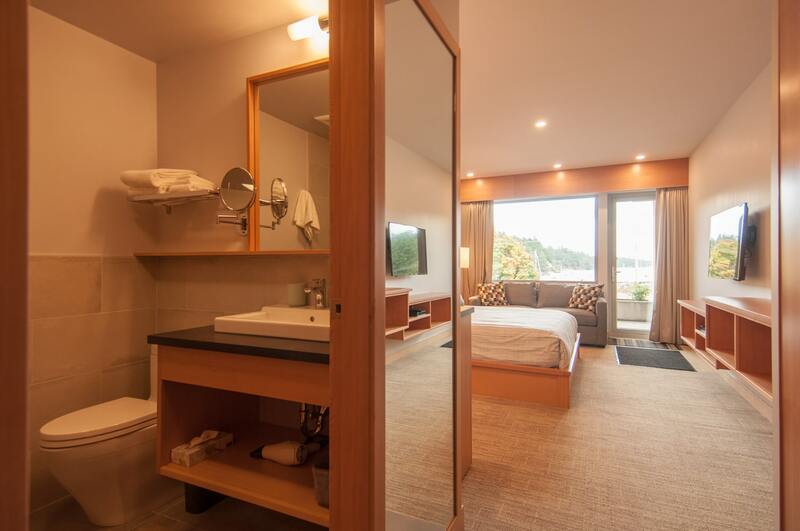 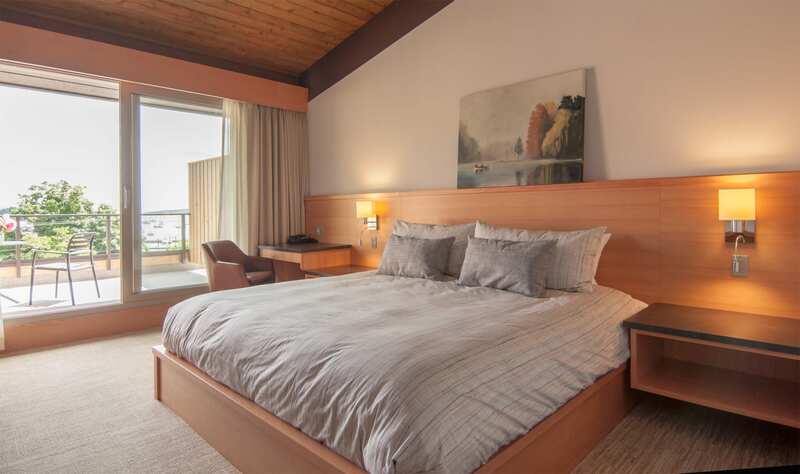 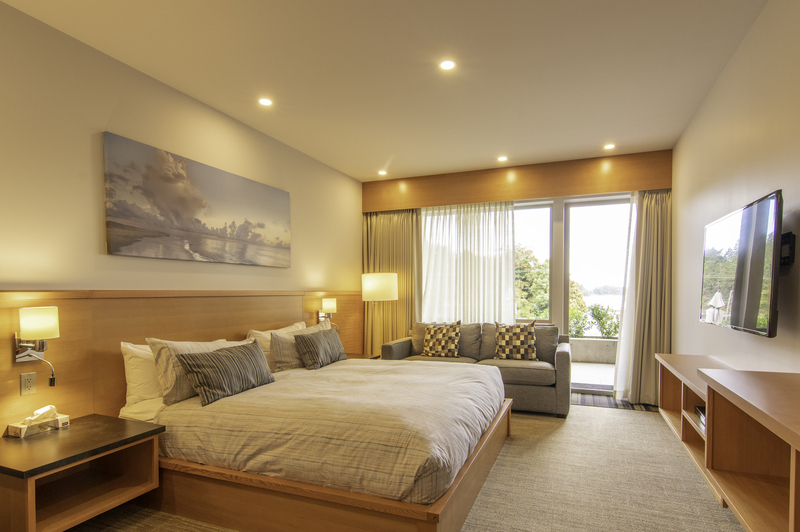 Showcasing spectacular views of Ganges Harbour and the Salish Sea, these large open plan accommodations are sure to impress. 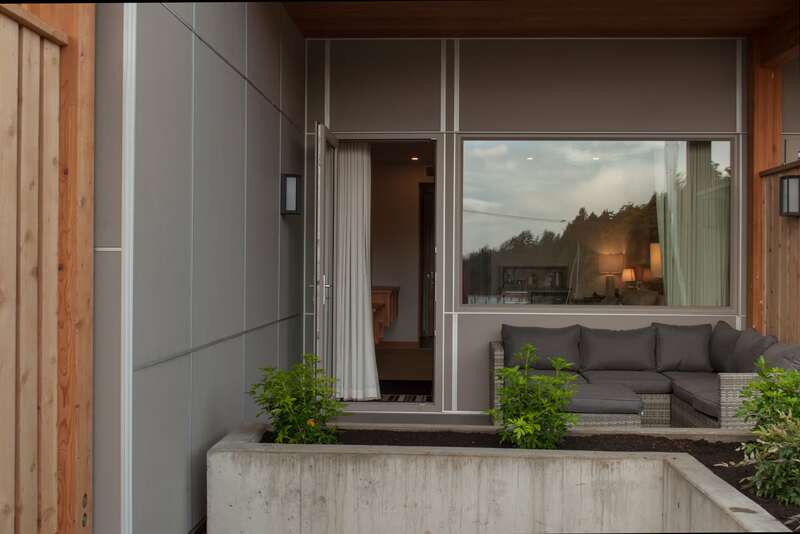 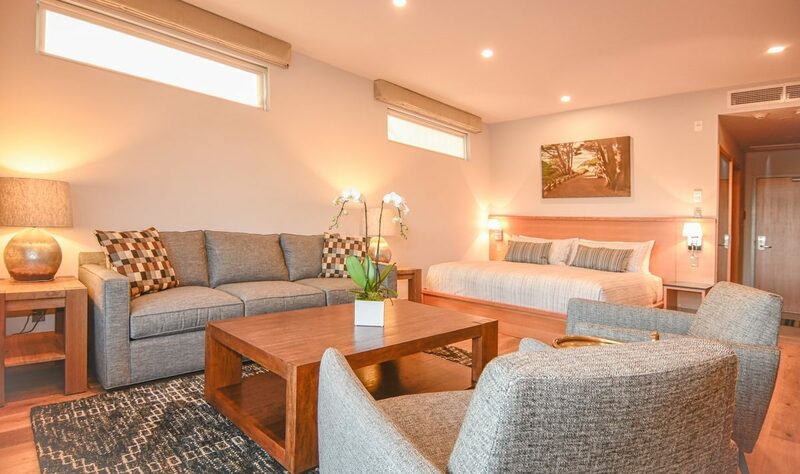 Located on the ground level, Patio King rooms feature their own extra large private patio ideal for entertaining friends or an intimate dinner for two complete with your own ocean view. 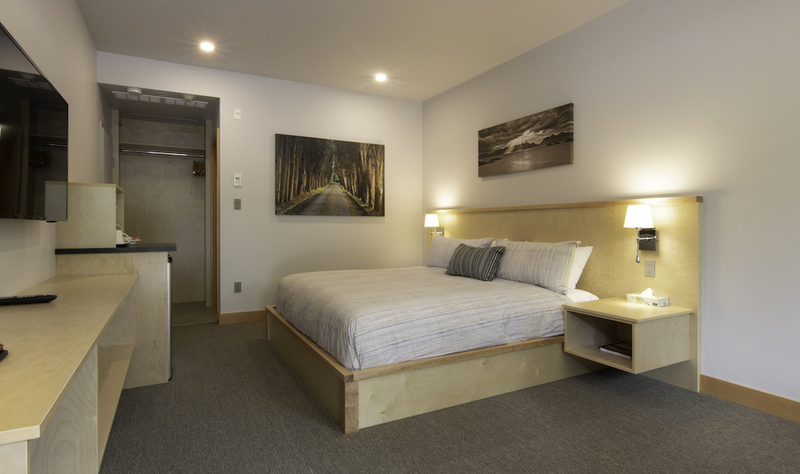 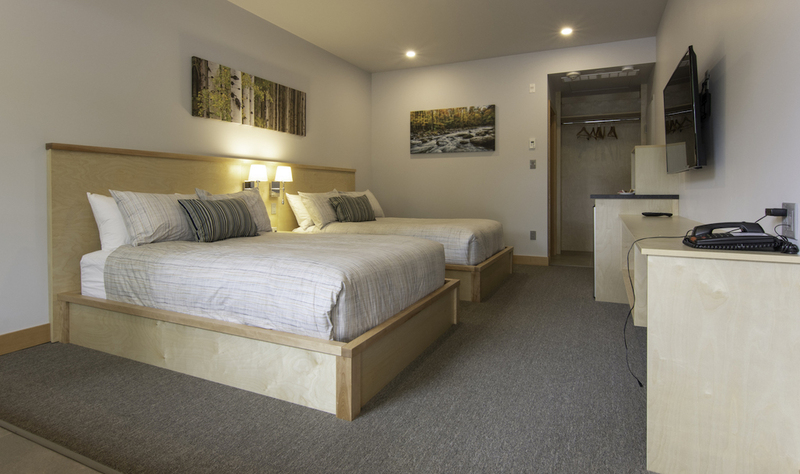 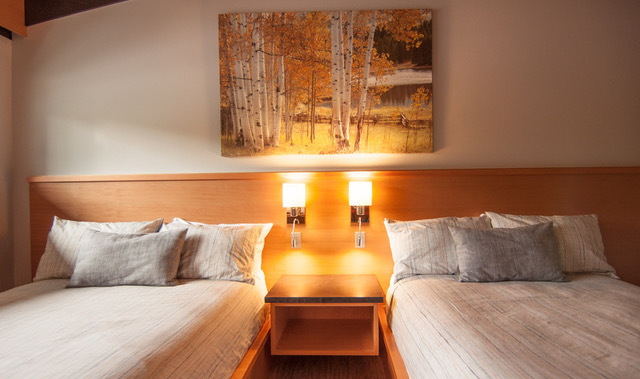 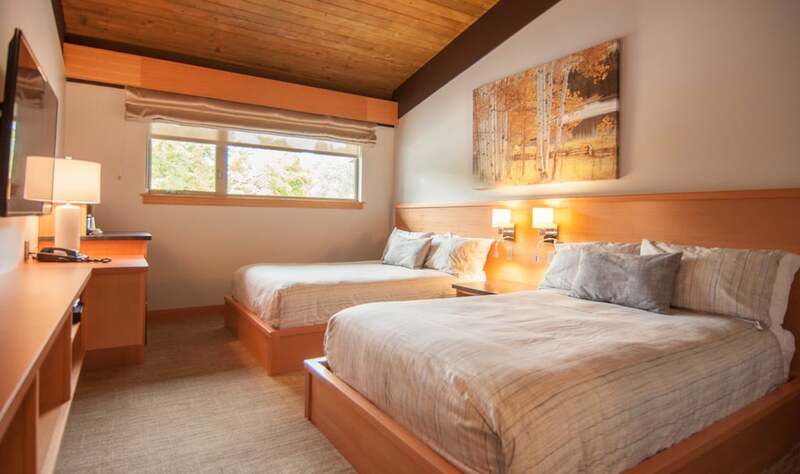 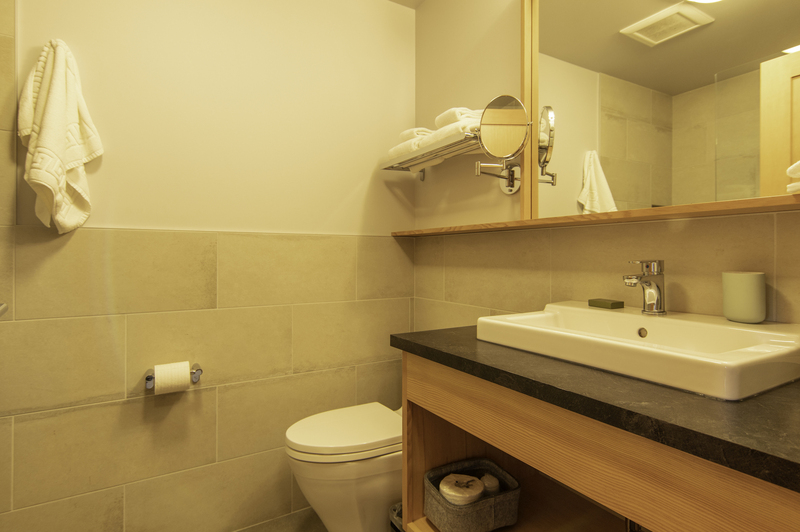 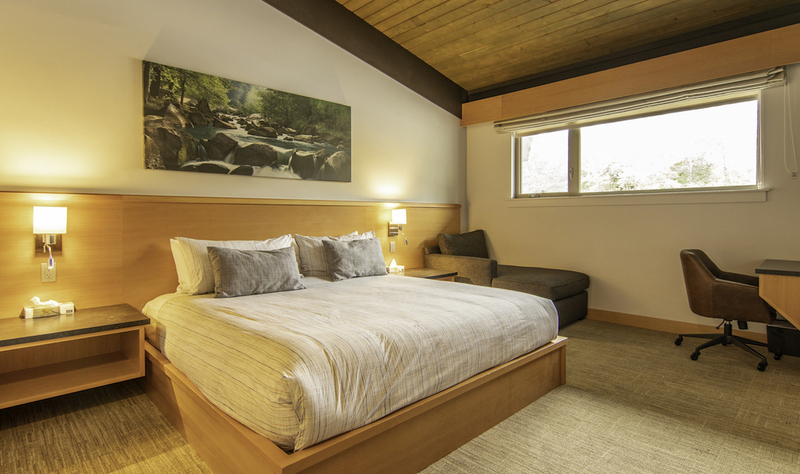 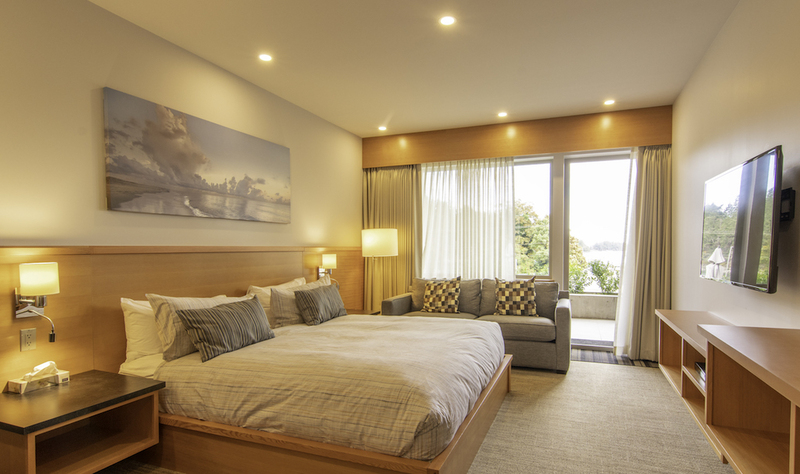 Guest rooms feature King size bed, 50″ HD Smart TV, fridge, coffee maker, luxurious walk in shower & air-conditioning.